Eagle Villas Residence Three Garden Halkidiki Greece. Are you eager to savor classic island villa living but with all of the comforts and services of a premier resort? 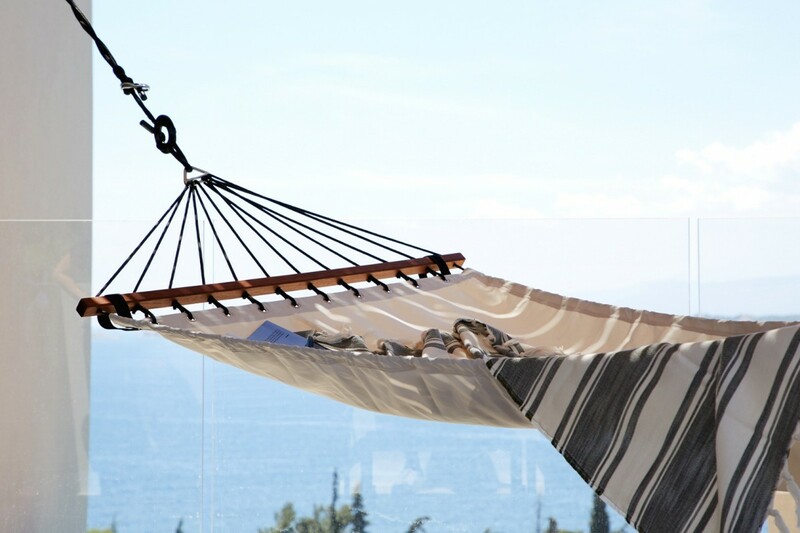 If so, the Eagle Villas Residence Three Garden is for you. 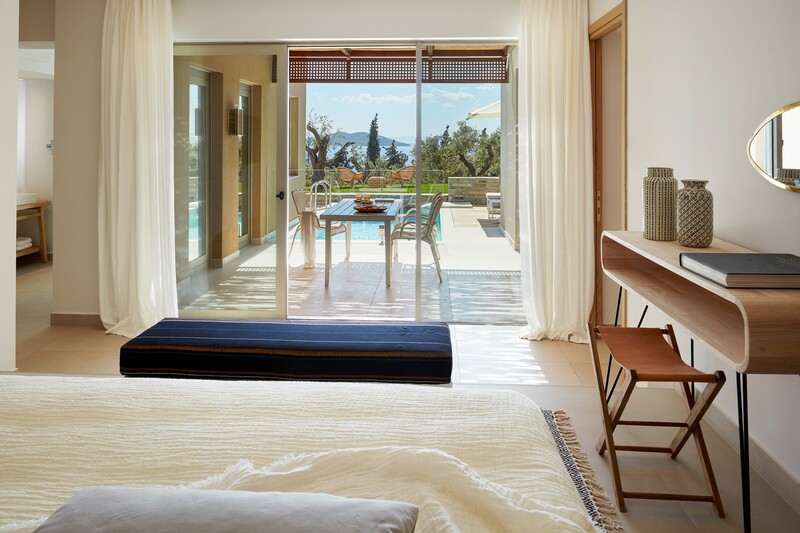 Part of the Eagles Villas, which is known as one of the premier resorts in Greece, it is set within a large Mediterranean garden in the enchanting Ouranoupoli, Halkidiki region. With upscale facilities that include a modern fitness center, tennis, an award winning beach and club, and a long list of restaurants and bars, it has everything that the most discerning individuals, couples, and families would need. 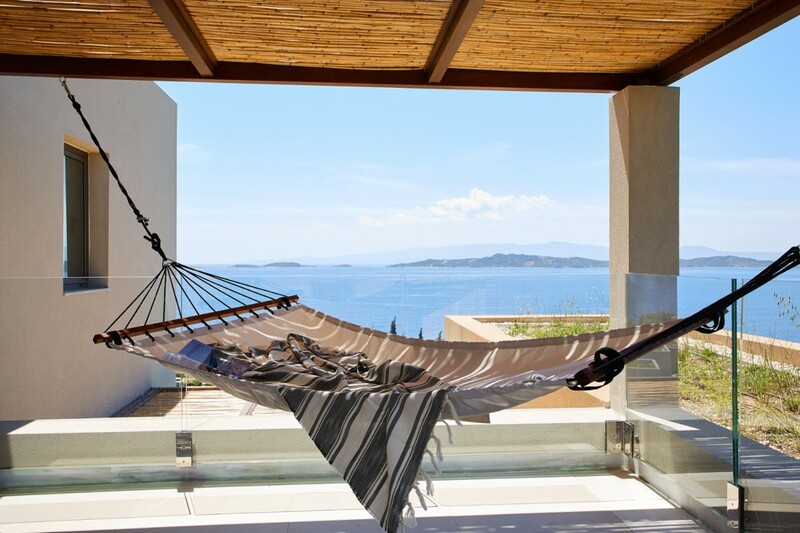 Of course, the three-bedroom, two-story villa itself might be your sole destination. 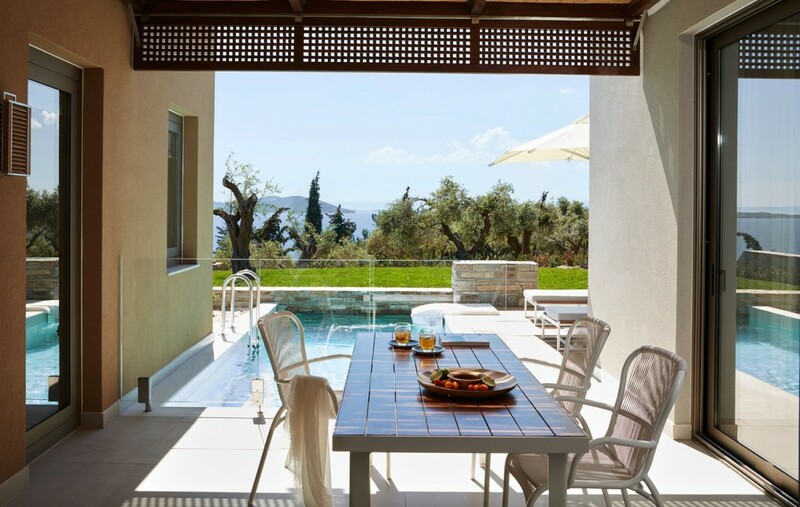 After all, it includes such wonderful features as a large and private garden framed by ancient olive groves and gazes out towards the sea and nearby islands. 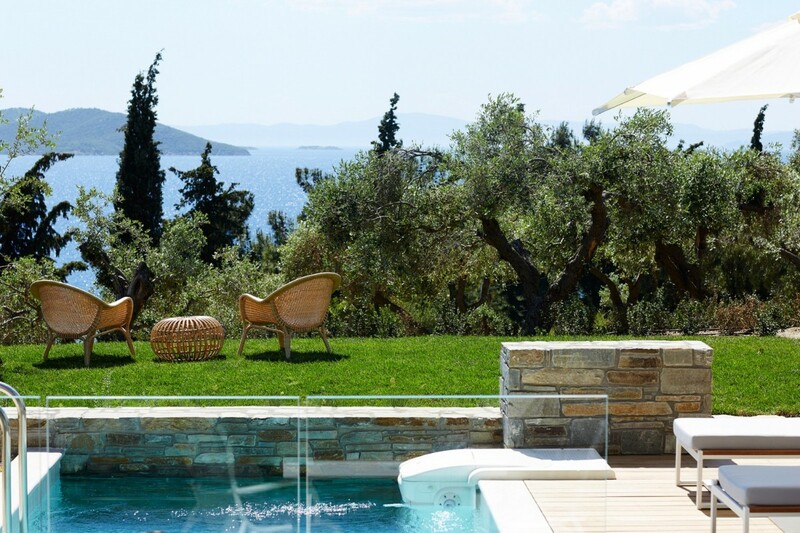 It leads you back through a short stone wall and into your private pool terrace. Here an oversized plunge pool is framed in wood and stone, offering a spacious sun deck and pergola that shades your al fresco dining area. An outdoor shower in a rock garden full of native plants completes the scene. Inside, the main level opens into a large and comfortable lounge with high-end entertainment system and convenient kitchenette ideal for whipping up cocktails, drinks, and snacks. The bedrooms are all suites with king sized beds and private baths. There are two master baths with marble fixtures and one smaller suite with bath. Ideal for a family or set of discerning fellow travelers, the Eagle Villas Residence Three Garden offers an idyllic balance of private luxury and comfort in a comprehensive resort setting. Savor the sunrises, sunsets and starry skies from the peace of your private garden and spend your days enjoying the delights of a high quality, premier resort. Bedrooms 1 - 3: Bedrooms with a king-size bed (can be made up as two single bed), A/C and en-suite bathroom with bathtub, shower, double vanity and WC. 2 guests maximum.